The day starts with great views of Melbourne and Geelong before hitting the Surf Coast with all the enchanting beach towns. 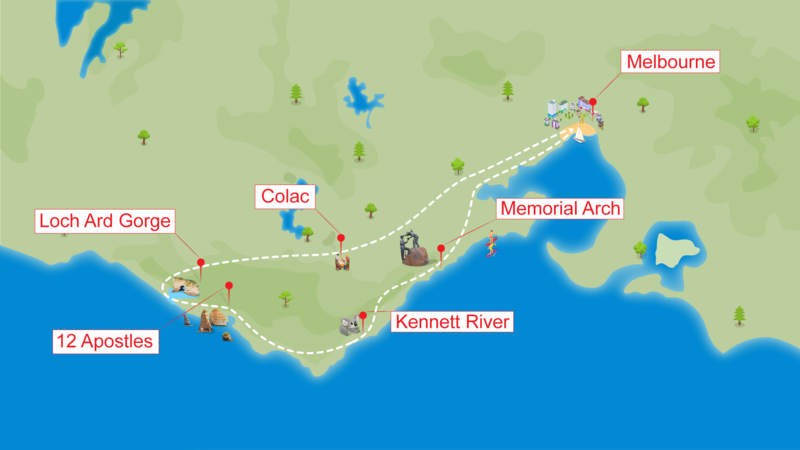 Next is the drive along the Great Ocean Road where around each bend is another surprise! Of course the finale is sunset at the 12 Apostles! Arrive at the 12 Apostles in time for a memorable sunset.